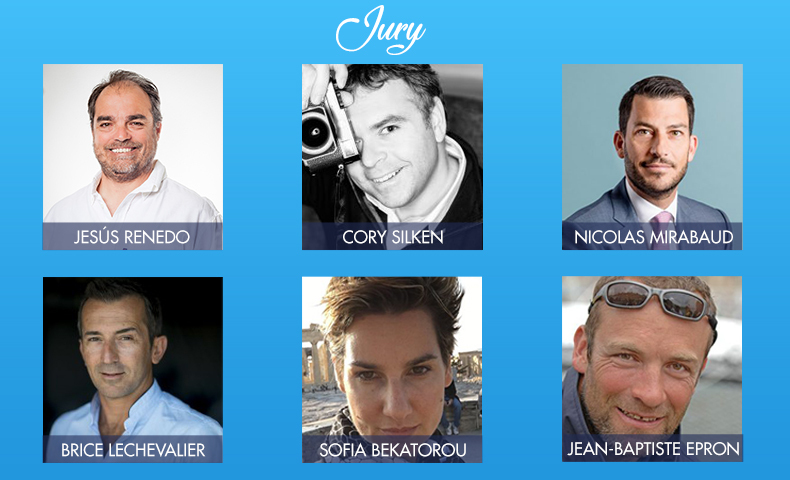 Now in its ninth year, the Mirabaud Yacht Racing Image award discloses its international jury 2018. Cory Silken, Jesus Renedo, Nicolas Mirabaud, Sofia Bekatorou, Jean-Baptiste Epron and Brice Lechevalier will choose the best yacht racing pictures taken in 2018. May 15, 2018 - The Mirabaud Yacht Racing Image contest announces a world class lineup of personalities for its international jury 2018. Cory Silken, professional sailing photographer, Jesus Renedo, co-founder of Sailing Energy Photography, Sofia Bekatorou, 2004 Olympic Champion in 470, Nicolas Mirabaud, limited partner and executive of Mirabaud & Cie SA, Jean-Baptiste Epron, boats graphic designer, and Brice Lechevalier, founder and Editor-in-chief of the magazines Skippers, Voile & Océan and GMT, will be selecting the world’s best yacht racing photographs of the year. The Mirabaud Yacht Racing Image award has been held since 2010 to recognize the very best yacht racing image taken during the year, which best represents the essence and excitement of the sport. Open to professional photographers, it provides an opportunity for yacht racing specialists to display their work and to share their passion with a wide audience. More than two million people saw the pictures submitted for the last edition of the contest. A pre-selection of the top eighty pictures submitted before September 12, 2018 at midnight will be published on the event website and the social networks on September 18, 2018, allowing the public to vote for their favorite photograph. The Mirabaud Yacht Racing Image (the main prize) will be selected by the international jury. Two prizes will be awarded in parallel: the public prize, based on the public votes on the social networks and the Yacht Racing Forum award, selected by the delegates from the Yacht Racing Forum (Lorient, October 22-23), based on a selection of the top twenty photographs made by the International Jury and exhibited at the Forum. Submission of the photographs is open until September 12, 2018 at midnight.